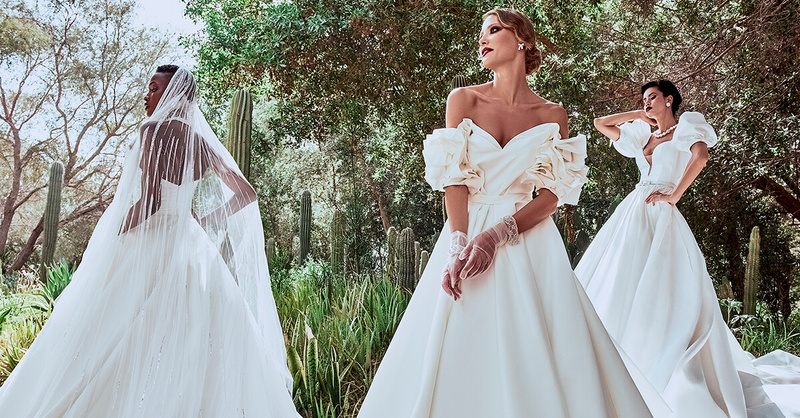 Collaborating with the best local and international brands, Esposa offers an exclusive selection of bridal and evening dresses that showcase the works of worldwide fashion designers. From the classy taste of Carolina Herrera to the modern twist of J'Aton and the dazzling creations of Rosa Clara, Marchesa, Lazaro, Esposacouture, Viktor&Rolf, La Sposa, Monique Lhuillier, and much more, the brand promises unique diversity in its stores. Born out of a couple’s passion for the bridal industry, Esposa has been growing over the last 30 years on the hands of the Romanos family. Combining heritage and years of craftsmanship with the innovation and young vision of the new generation, the brand has been weaving love stories through stunning bridal creations since 1987. Through hard work and ambition, it has remarkably succeeded in placing its name on the world’s fashion map. A CPA-certified finance graduate from the American University of Beirut, Juliana made her way into the financial world, learning and mastering the secrets of trade. Her great aptitude for finance and numbers earned her a position in reputable companies such as PricewaterhouseCoopers, setting her above regular standards in the business. With an exemplary experience in the field and unparalleled skills, Juliana occupies today the position of Chief Executive Officer within the company, handling the worldwide planning of the brand's growth in Lebanon and Dubai. Juliana joined Esposa Group 7 years ago and has greatly aided in its worldwide business growth since. With a masters degree in fashion marketing and degrees in fashion design and bridal consulting, Kristie draws on her distinguished educational and professional experience to run the buying and overall operations of the company. Her never ending love for fashion has made her an identified figure in the extravagant world of fashion and the favorite bridal consultant of many women in Lebanon and Dubai. Once you enter Esposa, Kristie makes sure your experience with the brand will be an unforgettable one. The last of the three sisters, Jihane is a biology graduate from the American University of Beirut. After completing her PHD in Human Genetics in the Netherlands, she gained notorious experience in her field as a Post Doc before deciding to return to her country. Today, she is the Vice President of the Group. Hand-in-hand, the sisters inject their love for each other and their passion for the industry in a brand constantly nourished to thrive and please.